Every few months, Google’s Project Fuchsia makes the rounds in the tech press. And for good reason, given that this is Google’s first attempt at developing a new open-source kernel and operating system. Of course, there are few secrets about it, given that it’s very much being developed in the open and that, with the right know-how, you could run it on a Pixelbook today. There’s also plenty of documentation about the project. According to the latest report by Bloomberg, about 100 engineers at Google work on Fuchsia. While the project has the blessing of Google CEO Sundar Pichai, it’s unclear what Google really wants Fuchsia to be. I don’t think it’ll replace Android, as some people seem to believe. I don’t think it’s the mythical Chrome OS/Android mashup that’ll bring Google’s two operating systems together. My guess is that we’re talking about an experimental system here that’s mostly meant to play with some ideas for now. In the future, it may become a real product, but to do so, Google will still have to bring a far larger team to bear on the project and invest significant resources into it. It may, however, end up in some of Google’s own hardware — maybe a Google Home variant — at some point, as that’s technology that’s 100 percent in the company’s control. It’s not unusual for companies like Google to work on next-generation operating systems, and what’s maybe most important here is that Fuchsia isn’t built on the Linux kernel that sits at the heart of Android and ChromeOS. Fuchsia’s kernel, dubbed Zircon, takes a microkernel approach that’s very different than the larger monolithic Linux kernels that power Google’s other operating systems. And building a new kernel is a big deal (even though Google’s efforts seem to be based on the work of the “littlekernel” project). For years, Microsoft worked on a project called Singularity, another experimental microkernel-based operating system that eventually went nowhere. The point of these projects, though, isn’t always about building a product that goes to market. It’s often simply about seeing how far you can push a given technology. That work may pay off in other areas or make it into existing projects. You also may get a few patents out of it. It’s something senior engineers love to work on — which today’s Bloomberg story hints at. One unnamed person Bloomberg spoke to said that this is a “senior-engineer retention project.” Chances are, there is quite a bit of truth to this. It would take more than 100 engineers to build a new operating system, after all. But those engineers are at Google and not working on Apple’s and Microsoft’s operating systems. And that’s a win for Google. 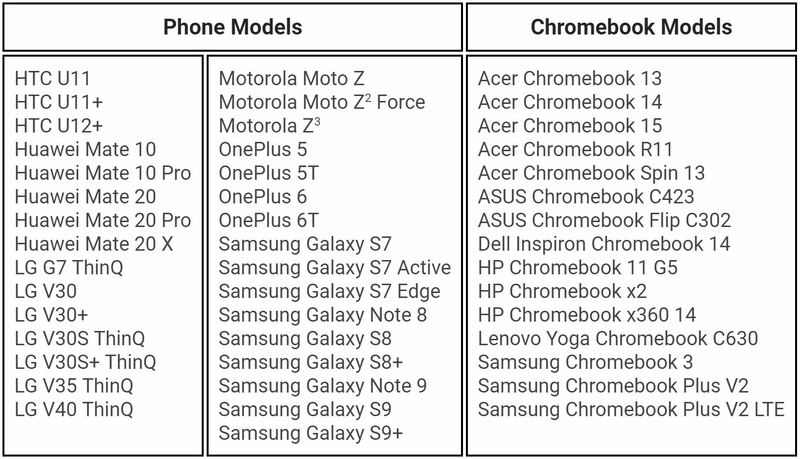 The Play Store is coming to Chrome OS, Google announced at its I/O developer conference today — and with that, you will soon be able to install and run virtually any Android app on your Chromebooks and Chromeboxes. Google announced today a couple of updates to the commenting features in its Google Apps productivity suite.